The soaring success of Bohemian Rhapsody – the Freddie Mercury/Queen movie that is set to become the biggest grossing music biopic of all time – has proven that the public’s love for Queen remains as strong as ever. Longtime fans and recent converts will be thrilled to discover then, that Queen – original band members Brian May and Roger Taylor, teaming up once more with longtime front man Adam Lambert on lead vocals – will return to North America next year. 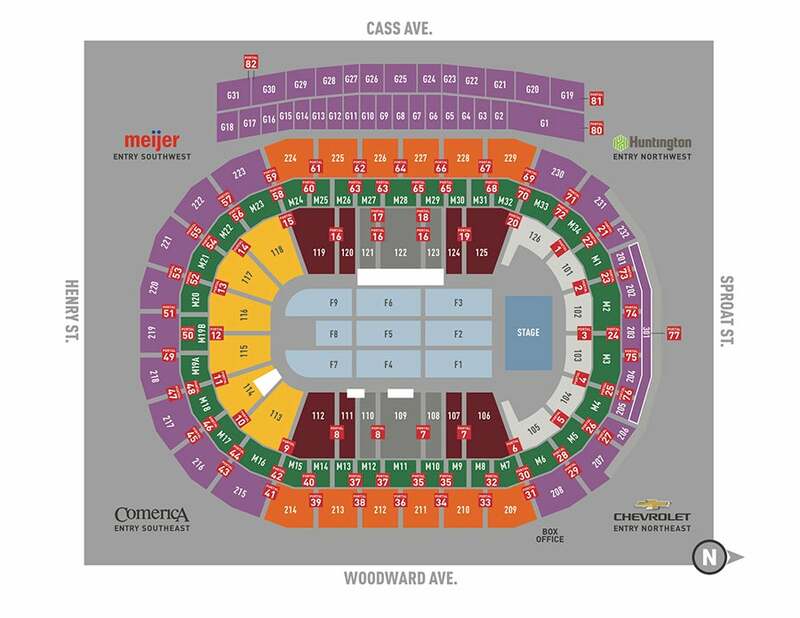 Produced by Live Nation, the epic 23-date arena and stadium “Rhapsody” tour makes a stop at Little Caesars Arena on Saturday, July 27 at 8 p.m. with an all new concert experience. 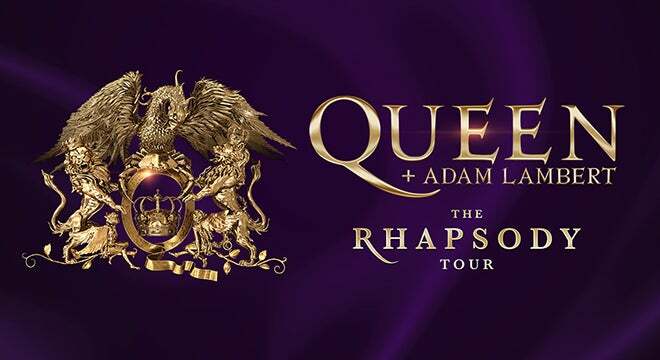 The tour follows an acclaimed run of 10 sold-out shows at the MGM Park Theater, Las Vegas in September 2018 and will kick off July 10 at Vancouver Rogers Arena. Stop-offs include some of the most history-packed venues in the US and Canada, including The Forum in Los Angeles (the last venue the original line-up played in North America on September 15, 1982) and New York City’s Madison Square Garden (the site of past Queen glories, including a memorable performance from Queen + Adam Lambert on July 17, 2014). It will wrap August 23 at Spectrum Center in Charlotte, NC. With Brian May adding:“ This is a great opportunity. Our last tour featured our most ambitious production ever, and got us our best notices ever. So we decided to rip it apart and get even more ambitious! Watch out, America! " Since Adam Lambert first shared the stage with Queen for the 2009 American Idol final, his dynamic performances have reinvigorated the band and delighted fans worldwide. Their first full show together – starting as they meant to go on - thrilled a half-a-million-strong crowd in the Ukraine capital city of Kiev in June 2012. Since then May and Taylor’s musical fireworks have been matched by Lambert’s vocal prowess and stage presence, making for an explosive combination. Over 180 gigs later, the partnership has proven a commercial and critical triumph, playing to enraptured full houses in every corner of the world. Never known to rest on their laurels, Queen on this “Rhapsody” tour will unveil a stage show as experimental and rule-defying as the hit-packed Queen back catalogue. The band have worked with the creative partners behind the eye-popping “News Of The World 2017” tour – Ric Lipson of Stufish Entertainment Architects handling set design; Rob Sinclair on lighting design; and Sam Pattinson of Treatment Studio behind the video content – to develop an unmissable show. And they kept up the momentum – in early 2015 they embarked upon their first full European tour together, including two nights at London’s O2 Arena and in September of that year they hit South America, with a headline appearance at Brazil’s Rock In Rio festival seeing them rock a crowd of more than 80,000 people. 2016 saw yet more enormous headline slots, with a celebratory set at the legendary Isle Of Wight Festival one of many highlights. They continued in 2017/2018 with full-blown tours of North America, Australia and New Zealand, and Europe. Their run of UK dates earlier this year sold out in less than half-an-hour, their reputation obviously preceding them. Then along came 20th Century Fox’s Bohemian Rhapsody. The movie has topped the cinema box office in more than 35 countries around the world since its late October release, drawing worldwide box office receipts in excess of $500 million. The excitement the film inspired also saw Queen propelled back on to the music charts, where they hit No. 1 on Billboard’s Artist 100 Chart, reminding fans why they loved them and dazzling the previously-uninitiated. In the US, the band scored its highest-charting album in 38 years with the Bohemian Rhapsody soundtrack (Hollywood Records), which surged from No. 25 to No. 3 on the Billboard 200 chart on November 17, reached the top of the Billboard Rock Albums chart and were Spotify’s most streamed artist in the world for the week ending November 22. Rolling Stone called the album “more than just a greatest hits”, praising it as “a fun imaginative way to relive the band’s genius.” In the same week, Queen’s Greatest Hits Vol I, II & III: The Platinum Collection rocketed from No. 194 to No. 9 on the Billboard 200 and they had a jaw-dropping 22 songs charting on the Digital Rock Tracks chart including seven of the Top 10. In the UK the release of Bohemian Rhapsody has also given a healthy boost to Queen's music on streaming services. “Rhapsody” remains their most popular, with 50.4 million streams, followed by “Don’t Stop Me Now” on 46.1 million plays. When Freddie sang “The Show Must Go On” all those years back, even he couldn’t have guessed that Queen music would still be storming the charts in 2018. Next summer, the stages of North America will be well and truly rocked again. You can’t help thinking Freddie would be overjoyed. After blowing everyone away on the eighth season of American Idol, Adam Lambert went on to release his debut album, For Your Entertainment, which included the international hit “Whatya Want From Me” and earned him a Grammy® Award nomination. Adam followed this success with his second album, Trespassing, which became the first album to reach the No. 1 spot in the US and Canada by an openly gay artist. His highly-anticipated third album, The Original High, was executive produced by Max Martin and Shellback and included the smash hit “Ghost Town.” Adam joined the cast of Glee for a six-episode story in 2013 and performed the role of Eddie in Fox’s The Rocky Horror Picture Show. He went on to judge on The X Factor Australia where the artist he mentored, Isaiah, won the show. As well as touring the US with Queen, 2019 will see Adam release his fourth album, and also star is his first animated feature: The Playmobil Movie.